Wine on tap is quickly catching on at fine establishments across the country. And for all the right reasons. You could say that Sonoma Valley’s long tradition of innovation began about 160 years ago when a handful of early settlers started California’s first wineries. There have been plenty of pioneers since then. But this particular story is about a far more recent innovation taking root here in Sonoma Valley. Wine on tap is quickly catching on at fine establishments across the country, doubling in wine volume every year since 2013. And for all the right reasons. It’s easier, more efficient and affordable for bars and restaurants. It’s less wasteful and more sustainable for the environment. It keeps wine fresher longer for consumers. Which means, when it comes to wine quality, you’re more likely to get a fresher glass of wine from a keg. In fact, pretty much the only argument against wine on tap is from traditionalists who, rightly, savor the ceremony of cork pulling and the quest for the perfect pour. It’s a noble cause, and to be sure, no wine lover wants to see the 750ml bottle relegated to the dustbin, and cellars, of history. Yet, a strong case for serving wine on tap at bars and restaurants remains. Every wine bottle is filled, label, printed, sealed, cased and shipped before you ever enjoy a glass. Kegs eliminate four of the six steps. Every keg replaces 26 bottles that would otherwise be needed. So one keg, reused over time, can eliminate the need for thousands of bottles. Over a 20 year period, kegs reduce the carbon footprint of the same wine poured out of bottle by some 96%. That means each keg is like taking a car off the road for two and half years, or planting 26 trees. Because not all wine bottles are responsibly recycled, each keg saves 2,340 lbs. of trash from the landfill over its lifetime. Okay, so you’re ready to set your preconceived notions about bottles aside and enjoy a pull from a wine on tap. Here are a few choices in Sonoma Valley to quench your curiosity and your thirst. Glen Ellen Star has an incredible list, with a few great wines on tap, including Kivelstadt Cellars’ “Family Secret” Indian Springs Ranch Sauvignon Blanc. 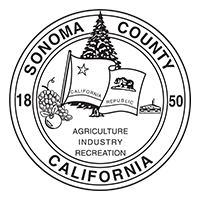 OSO Sonoma, Old Sonoma Public House and Fairmont Sonoma Mission Inn also have tap programs. If you’re lucky, they may even have a Sonoma Valley Wine on tap. Buena Vista Winery, Chateau St. Jean, Kivelstadt Cellars, MacLeod Family Vineyard and St Francis Winery are all local favorites known to offer some of their wines on tap. Perhaps the best place to go deep on this emerging trend is Kivelstadt Cellars in Glen Ellen. Jordan Kivelstadt has established himself as a bit of a wine-on-tap trailblazer. After a stint at The Donum Estate and a winemaking journey spanning four countries, Jordan founded Kivelstadt Cellars and still farms his family’s 10-acre organic vineyard. But, with an engineering degree and an appetite for disrupting industries, Jordan founded Free Flow Wines in 2009 with a mission of saving the world…one keg at a time. Today, Free Flow is filling over 10,000 kegs per month with wine from more than 220 brands for over 4,500 accounts in 49 states. But if you can’t get to Kivelstadt Cellars in Glen Ellen, let them come to you. Look for Willy the Wine Truck, a vintage mobile wine on tap truck that brings great wines, served fresh and at the perfect temperature to events and gatherings around Sonoma Valley. Catch the truck at the Hood Mansion Funky Friday Lawn Concerts and Broadway Under The Stars at Jack London State Park throughout the summer. Nothing like saving the environment and then having that savings passed onto you.